Got research? Show us your stuff! 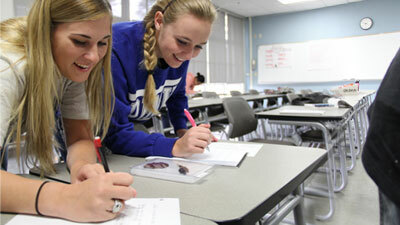 Register online by May 1 for the 10th Annual Student Research Symposium. Already registered? 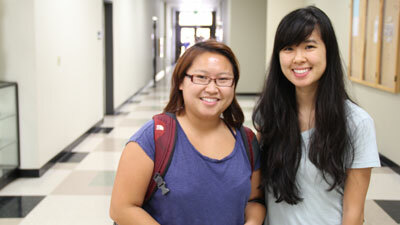 Attend the poster design workshop for helpful tips and a free poster board. 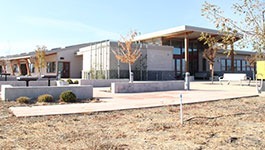 Woodland Community College has received the External Evaluation Report from the accreditation visit we received from October 8-11, 2018. 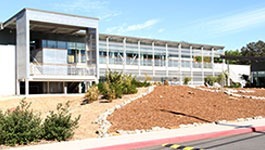 ACCJC sent WCC a letter on January 25, 2019 to reaffirm accreditation. 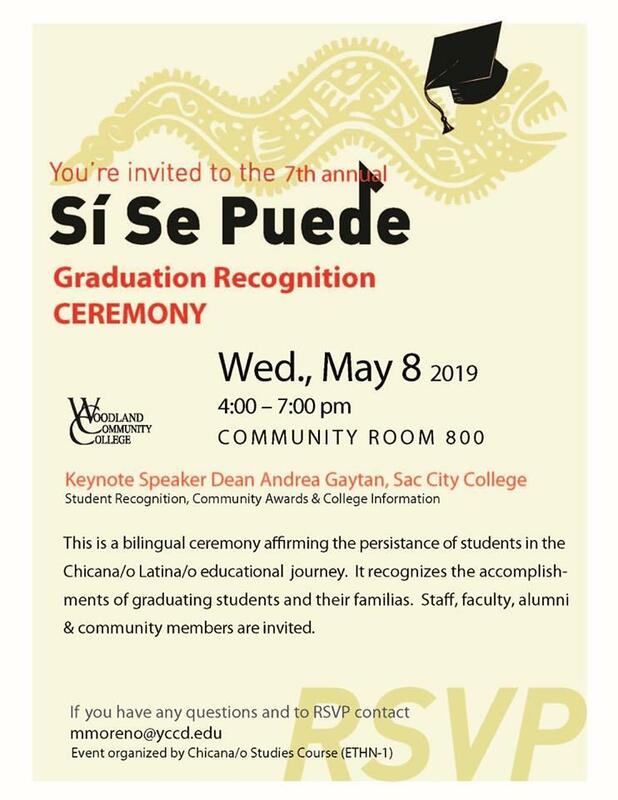 WCC is committed to serving all students regardless of their race, ethnicity, national origin, religious beliefs, gender, sexual orientation, identity, medical condition, disability or immigration status. 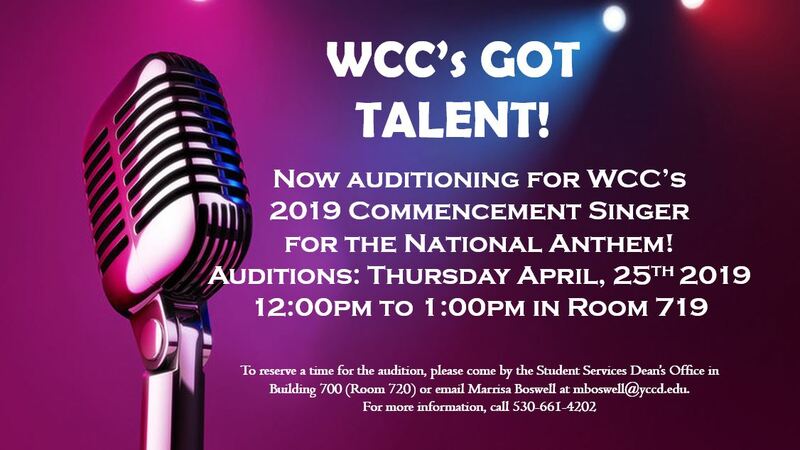 Download the FREE WCC App Now! 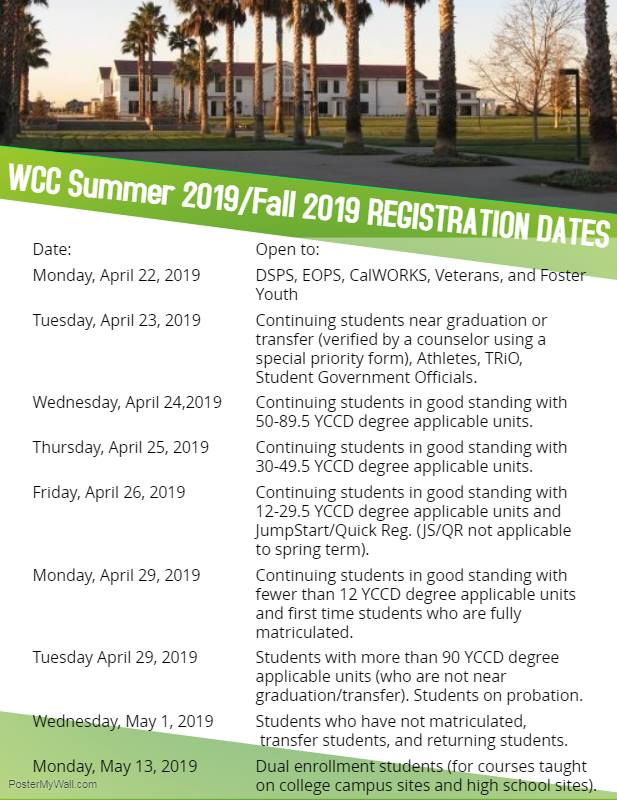 Four reasons why WCC is the smart choice. 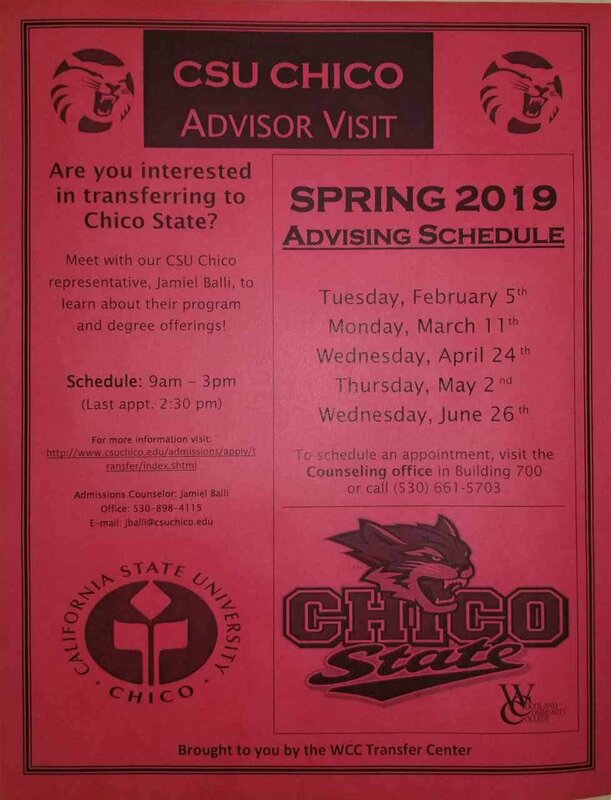 Fellow students: If you are considering Chico State as a transfer destination, there will be an advisor from the University on campus tomorrow 4/24. 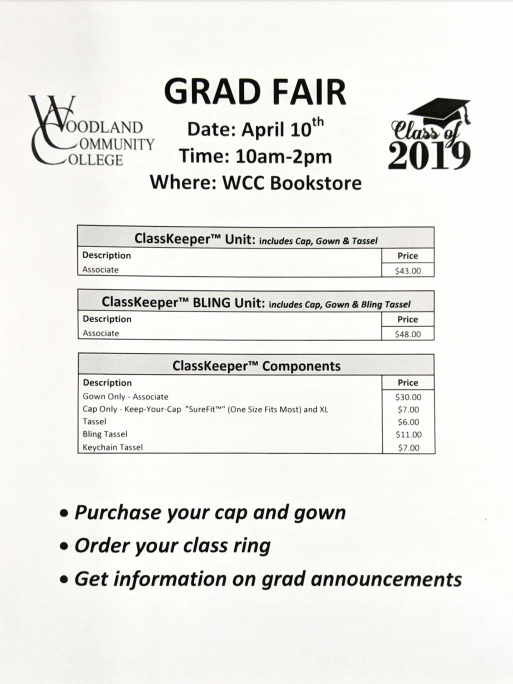 Refer to our flyer for additional details. 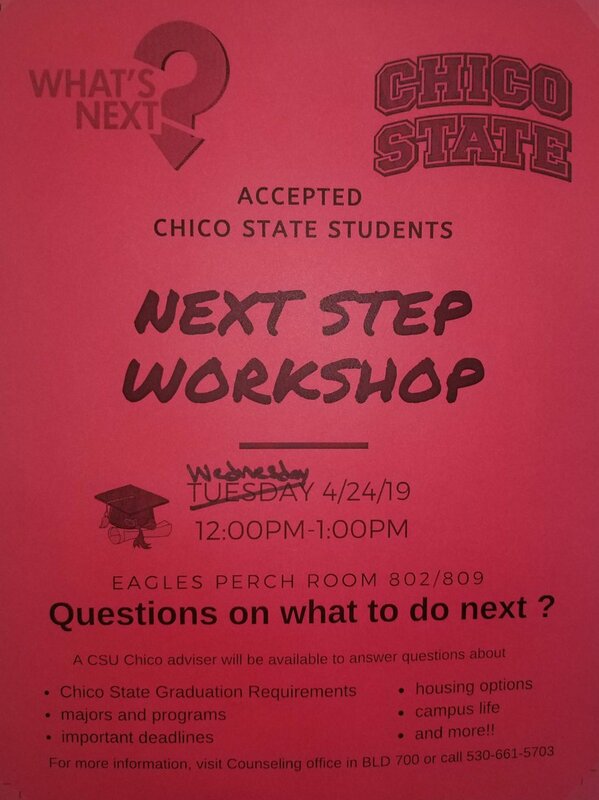 Eagles who are Chico State bound: Tomorrow, 4/24, the Eagle's Perch will be hosting a workshop for students to have the opportunity to speak to a Chico State advisor. 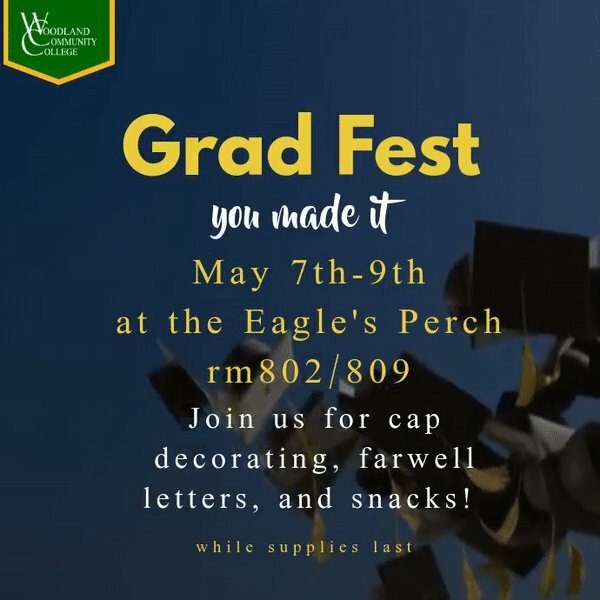 We'll be expecting you! 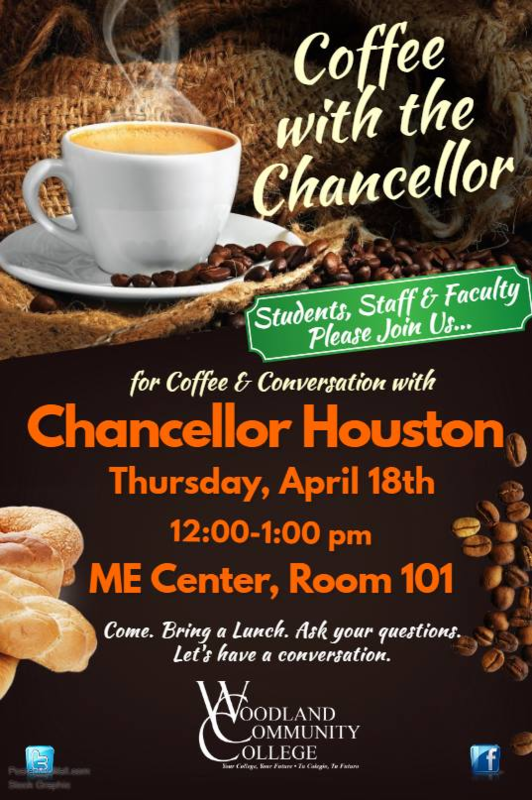 REMINDER: Join us TODAY for Coffee with the Chancellor! 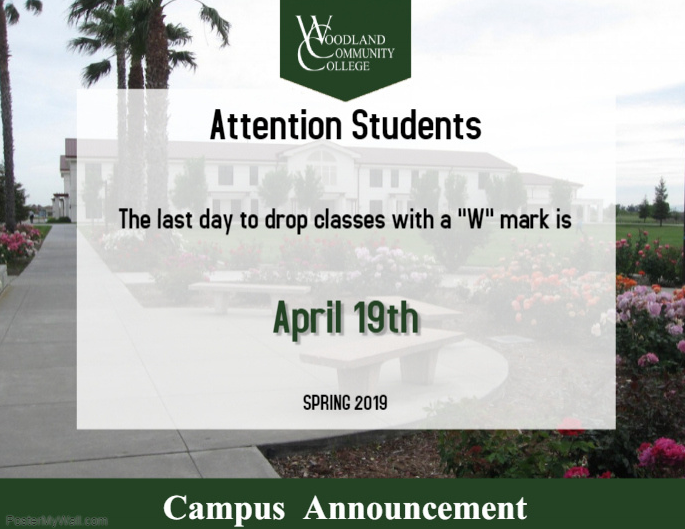 FRIENDLY REMINDER: The last day to drop a class with a "W" is this Friday! 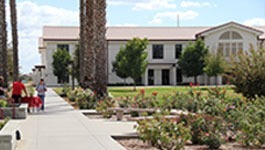 The mission of Woodland Community College is to provide high quality, student-centered education and lifelong learning opportunities for the communities we serve. 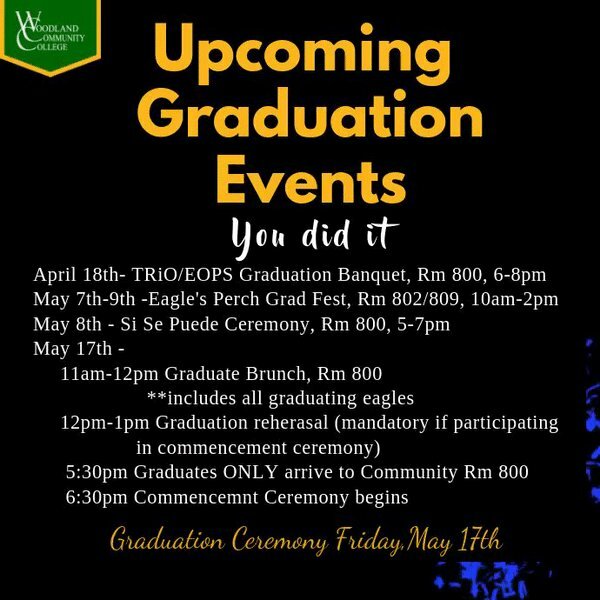 At WCC, students pursue their educational goals in an environment that values diversity, individuality, mutual respect, civic responsibility, and the free exchange of ideas.